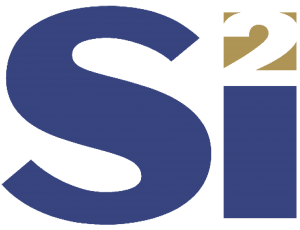 Join us as three Si2 OpenAccess Coalition members present the interoperability benefits and productivity potential of their innovative OA applications. With the emerging era of the Internet-of-Things, analog designers will face huge challenges to boost their productivity. The productivity gap related to Moore’s Law will be further broadened due to the heavy computations in simulators and the impact on their design time and cost. Intento presents Si2 OpenAccess-based constraint-driven design and migration methodology. It is based on graph theory, offering huge acceleration of both tasks at the functional level. A design graph is automatically created from OpenAccess constraint/schematic views. Each graph is deterministic, correct-by-construction and technology-independent. The key idea is to replace simultaneous resolution of linearized nodal equations inside SPICE-like simulators, by structured resolution of nonlinear DC transistor equations. Consequently, the high-order Jacobian matrices shrinks to only one element per transistor and matrix inversion is eliminated. 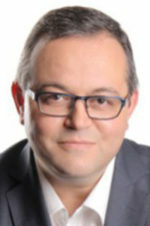 Dr. Ramy Iskander is the founder and CEO of Intento Design, bringing to the company more than 20 years of industrial and academic experiences in computer-aided design. Before founding Intento, Dr. Iskander served as an associate professor at the University Pierre and Marie Curie, and has published more than 80+ scientific articles in the field of analog design automation. From 2012 to 2016, Dr. Iskander served as the scientific coordinator of the European FP7 project AUTOMICS, which is dedicated to circuit design, modeling and implementation of novel design methodologies for smart power ICs in the automotive industry. How to bind the OpenAccess API to any other programming language using SWIG. How concurrency can help to efficiently create images from OpenAccess data. Larg H. Weiland received the Dr.-Ing. (Ph. D.) degree in computer science from the Karlsruhe Institute of Technology (KIT), Germany in 1998. In 1998 he joined PDF Solutions Inc. in San Jose, Calif. As a fellow he is responsible to provide technical direction and guidance for design automation product development. This includes creating design architectures and efficient workflow automation systems for design of experiment (DOE) composition for semiconductor yield enhancement, process optimization and process ramps as well as automated test structure design solutions for state of the art semiconductor technology nodes like 7mn and below. Dr. Weiland has published more than 40 conference and journal papers and holds various patents. He is member of the IEEE and the Electron Devices Society. 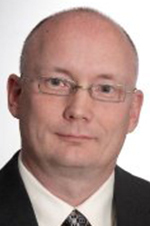 He has served as conference chair and in the technical committee of several semiconductor manufacturing related conferences. He was the Technical Chair of the 2012 International Conference on Microelectronic Test Structures (ICMTS) and General Chair of the ICMTS in 2015. Analog Rails is a fully automatic and drc/lvs correct by construction ™ fully synchronized analog/mixed-signal IC design platform built natively on Si2 OpenAccess. Our comprehensive environment synchronizes schematic, layout, simulation, optimization, sensitivity, automatic placers and routers, RCx, IR drop and EM, allowing circuit designers to reduce design time by over 10x. Digital Rails is due to release in 2017-q4. In control of their own layouts, which will improve the quality. Ability to design bottom=>top=>bottom=>top. Why limit yourself? Protect IP. No need to outsource. Cliff Wiener is the founder of Get2spec, Inc. (DBA Analog Rails). He was a former analog circuit designer and was in charge of analog design methodologies at National Semiconductor and Motorola Semiconductor before starting Get2spec in 2004.